SERIOUS THEFT PROTECTION Tuffy's exclusive Pry-Guard locking system, which incorporates a high quality tubular keyed lock. A continous steel hinge attaches the heavy gauge, reinforced lids to the welded 16 gauge steel lockboxes. The lids incorporate a neoprene seal which helps to protect the lockbox content. A sharp looking, extremely durable, textured powder coat finish protects the lockboxes exterior. Mounting is easy, the lockboxes are fastened using the Grade 8 mounting hardware provided. If any suspension or body lift modification has been done to the vehicle which affected the height of the shift lever the lever will have to be modified by lengthening it, and/or bending it so it will clear the front of the console. NOTE: Tuffy does not make a Console for the FJ62 due to rear heater being located between the front bucket seats. 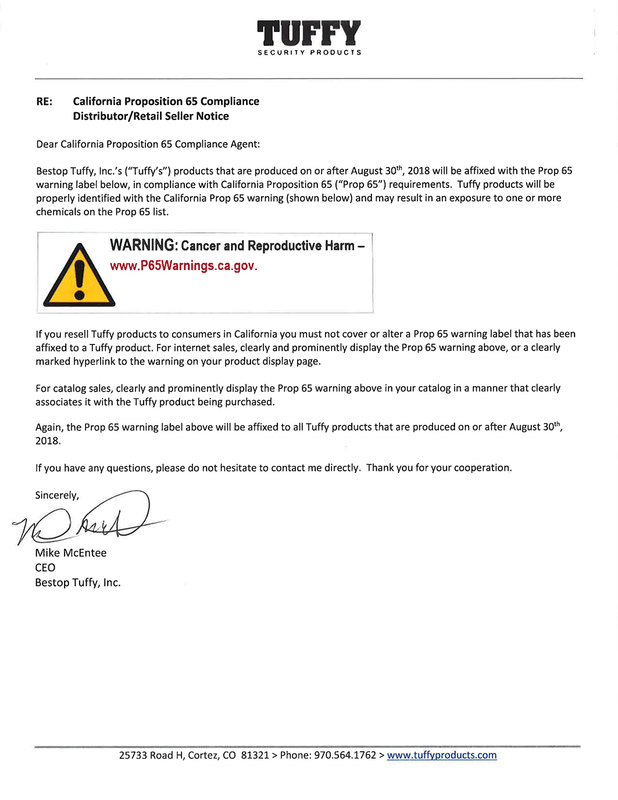 Per California Proposition 65 Compliance Distributor / Retail Seller Notice. 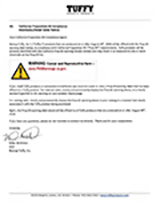 Click image to read Warning. CCOT's Console Mounting Bracket for CCOT Console only. Fits FJ40 - 10/'73 to 12/'78 w/factory bucket seats & seat frames. CCOT's New and Improved FJ40 Console Mounting Bracket. Made of STRONG 14 gauge steel. New design allows passage of heater hoses to rear heater for clean look and easy installation. Bracket mounts quickly to the bottom of FJ40 Consoles (#023 & #024) and bolts to factory seat rail and floor. Slotted bolt holes make for easy and adjustable fit / installation. Powder coated. This is a nice product designed to look clean and fit. Tuffy Console Mounting Bracket for Tuffy Consoles only. Kit attaches to factory floor holes. This Console Mounting Bracket is only offered by Tuffy in Black. FJ40 Tuffy Console Mounting Kit - made specifically for 12/'78 to 8/'80. 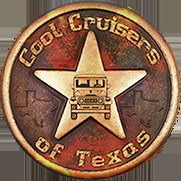 Kit will also mount late model FJ40 consoles 9/'80 to 1984 without center console heater. Kit attaches to factory floor holes. Same features as Deluxe Stereo console except does not include separate stereo compartment, therefore leaving more overall storage space. 2-Cup Holder (see below #034) Included. Order Mounting Bracket Separately, above. 2-Cup Holder #034 - Shown - Included. This convenient 16-gauge steel security console has 2 compartments, a separate compartment for mounting a stereo, CB Radio, or other electronic equipment, and a lockable rear storage space lined with a rubber floor mat. The spacious rear compartment accommodates a CD changer, tools, and other valuables. 2-Cup Holder (see below #034) Shown in Photo. Rear Console to Floor Support Stand Included. Note: System will add $18.95 to price for Console Floor Mount Kit, if you choose that option. Note: System will add $18.95 to price for Floor Mount Kit, if you choose that option. 2-Cup Holder (see below #034)Included. 2-Cup Holder #034 - Shown & Included. Fits FJ60s w/factory bucket seats. Large Storage area w/Stereo Den. Keyed Lock. Black powder coated with pebble finish. Double wide elbow Pad at the perfect height for body support. Chrome lift handle is positioned perfectly for body control. Order Console with or without Tuffy Cup Holder ($29.50). Note: Select / Order FJ60 Console by production date. New Cup Holder Design. Purchase additional cup holder to attach to rear of Console for rear Passenger use.